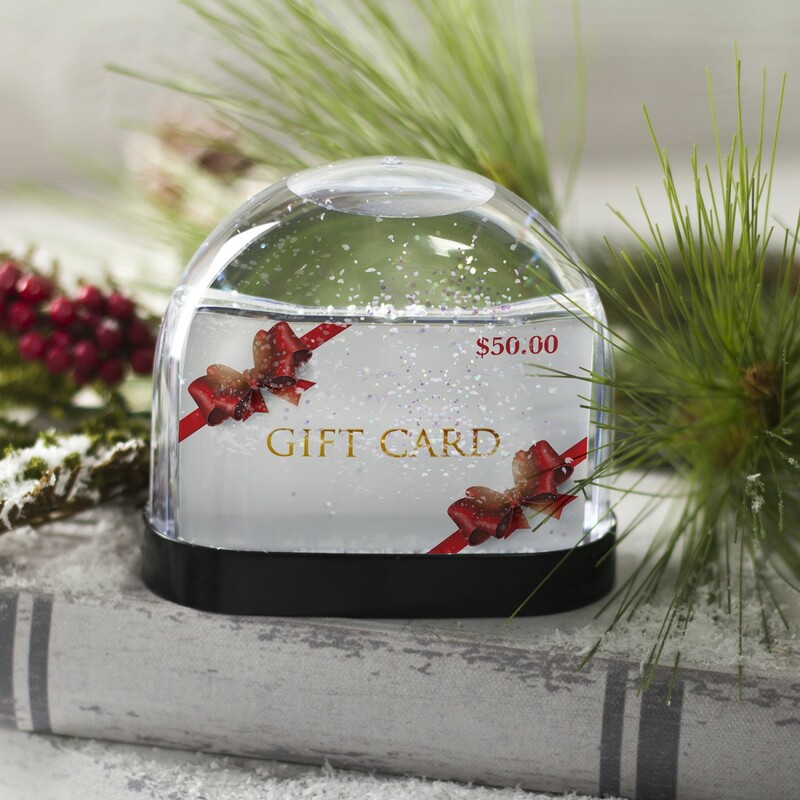 Insert size: 3-3/8" x 2-1/8"
Looking to give something a little extra to make your gift card stand out? 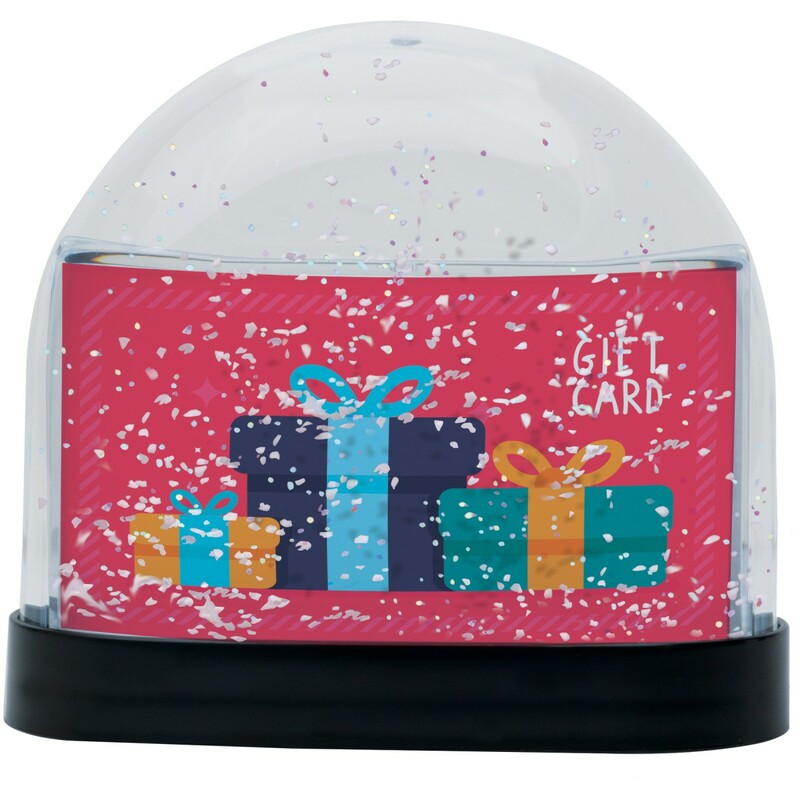 Put it in this snow globe! 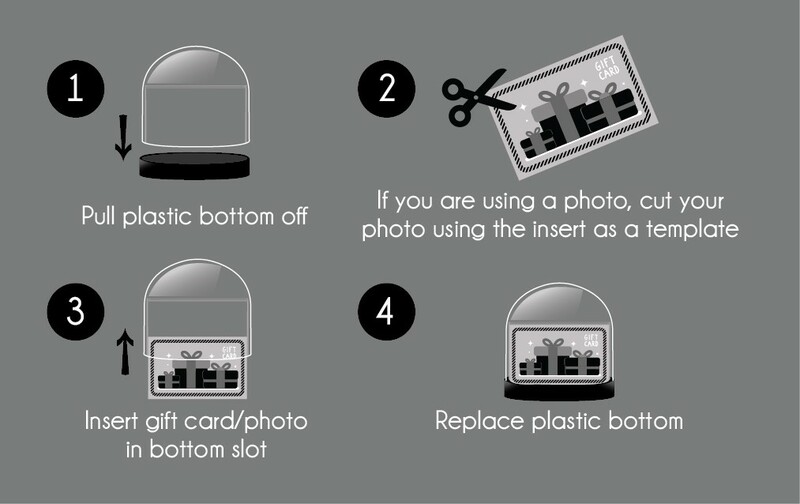 Once the gift card is used, you can place a photo in the gift card. Can I purchase all the pieces separately? 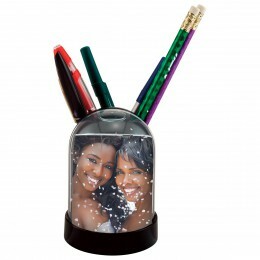 I would like to make my own snow globe and do not need a card holder. I simply need the plastic shell, base, and 'snow'. Thank you. 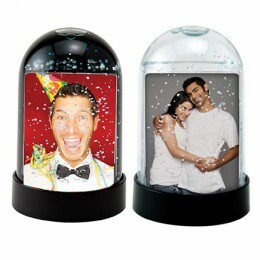 No, the pieces of the photo snow globe cannot be purchased separately. 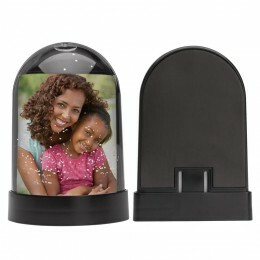 Also, the place for the gift card to be inserted is part of the plastic on the top portion and cannot be removed. Insert size: 1-3/4" x 2-3/4", 2" x 2-7/8", or 2-1/2" x 3-1/2"